You may know that I hail from an evangelical-charismatic background. What you may not know is that I am continually challenged in conversations about the need to interpret our experiences and texts. We don’t just have experiences – like we don’t just read (and believe) the Bible – we interpret. We do it as second nature because to be human – and thus social – is to be thoroughly saturated in language and symbols. We speak, and indeed think, in language. It permeates every thing we do and are. It is part of what being human means. 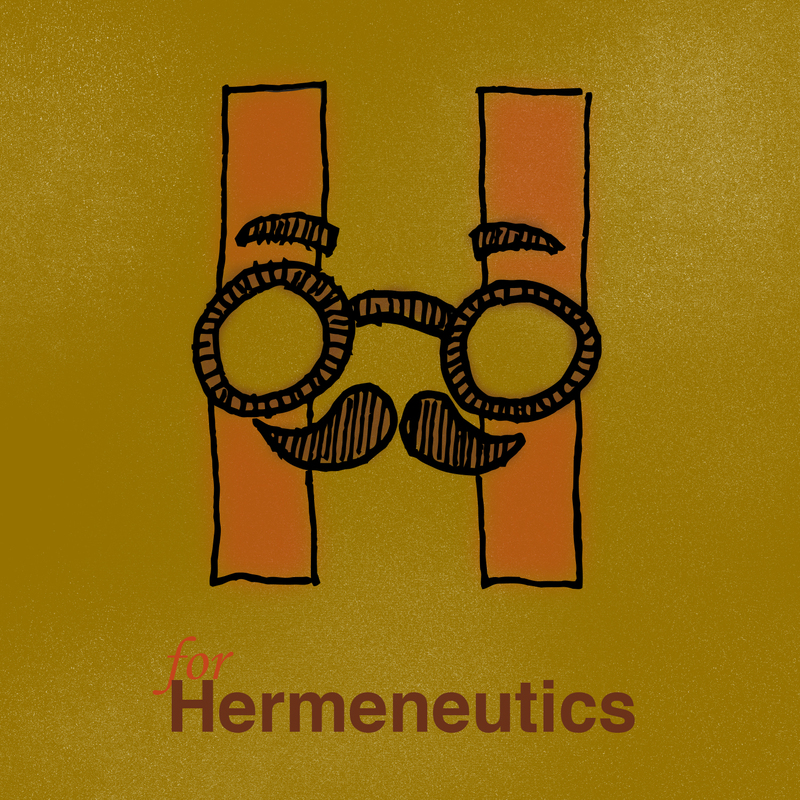 Hermeneutics: The discipline that studies the principles and theories of how texts ought to be interpreted, particularly sacred texts such as the Scriptures. Hermeneutics also concerns itself with understanding the unique roles and relationships between the author, the text and the original or subsequent readers. Pocket Dictionary of Theological Terms (Kindle Locations 638-640). Kindle Edition. The word has been in use since the 17th century even though the idea is an ancient one that can be traced all the way back to the Greek philosophers. Everything changed in past 90 years. With the publication of Heidegger’s Being and Time in 1927, philosophy (and then subsequently the human sciences) took a hermeneutical turn. One of Heidegger’s most famous students was Hans-Georg Gadamer. His 1975 book about the world of interpretation called Truth and Method expanded what is called the hermeneutical circle. I could not possibly do this topic justice in a single blog post – If you want more info there are links at the bottom of the page. ? I just wanted to share an example of how the hermeneutical circle is employed in my field of Practical Theology. I tend toward utilizing the work of Paul Ricoeur and his ‘second naivety’ myself, but the example I want share is from Richard Osmer who utilizes Gadamer as his framework. These elements allow Osmer to transition into analyzing the role of the congregational leader along these lines. He first examines the idea of guiding the congregation as a community of interpretation. Secondly, he addresses the need to guide interpretation evoked by the experience of being brought up short. This influence engages in different forms of communication and is a collaborative effort. These three elements factor in significantly for the spirituality required to carry out the leadership that Osmer envisions. The Descriptive–Empirical Task is called Priestley Listening and finds great importance in the power of presence. The author illustrates the spirituality of presence by addressing several levels of what is called attending which is then integrated into concepts introduced earlier such as the congregation as a community of interpretation. The second task is the Interpretive Task called Sagely Wisdom. The interpretive task draws off of thoughtfulness, theory, and wise judgment. Osmer appeals to Israel’s wisdom tradition and to Jesus being the hidden wisdom of God revealed. The third task is the Normative Task, which is called Prophetic Discernment. The author utilizes a familiar pattern in this chapter similar to the previous two. Weaving together narrative, theory, and scriptural illustration. The final task is the Pragmatic Task, classified as Servant Leadership. Osmer identifies the three forms of leadership as task competence, transactional leadership, and transforming leadership. The motif of “deep change” is introduced through the writing of Robert Quinn and is woven together with Old Testament imagery in order to illustrate the type of leadership that is required in this task. Quinn’s Four-stage model of organizational change (called the transformational cycle) involves: Initiation, Uncertainty, Transformation, and Routinization. They form a cycle, a circle or a spiral – signifying an ongoing (continual) process. The second stage or step is one of negativity, negation or something negative (like Uncertainty). This is important because it is only after was pass through the unknowing that we come to see-know-engage-understand-assimilate-fuse in a new way. We all interpret. We think, experience and speak through this lens. The past century has seen a hermeneutical turn in almost every area related to human behavior, belief and social understanding.